Asia Society Museum presents one of the finest surviving Persian manuscripts—an exquisite and richly illuminated 15th-century volume commissioned by the Timurid prince Muhammad Juki (1402-1444). 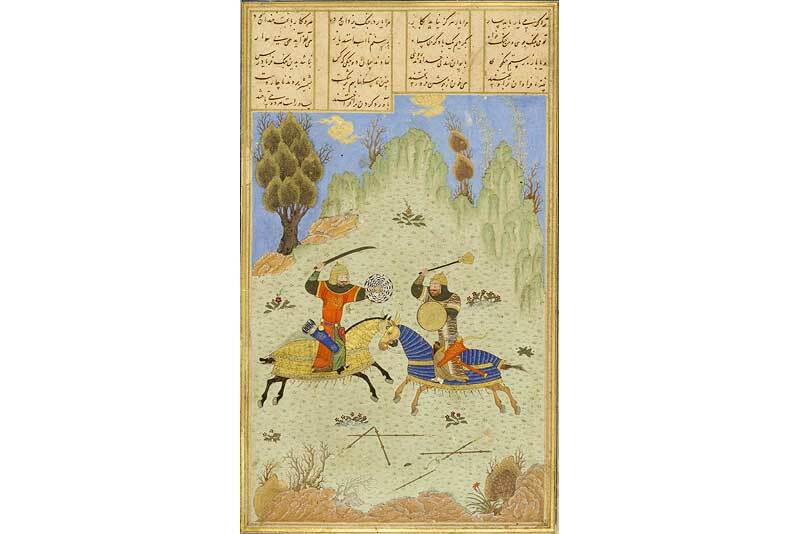 This rarely exhibited manuscript, now in the collection of the Royal Asiatic Society of Great Britain and Ireland, features more than 30 miniatures that illustrate scenes from the Persian national epic, the Shahnamah (Book of Kings). This is the first time that the intricately colored and gilded illustrations in the manuscript—recently unbound and conserved—have all been exhibited together in the United States. Although it is not known when the epic was first illustrated, countless copies of this poem have been made through the ages. Written by the Persian poet Firdausi (ca. 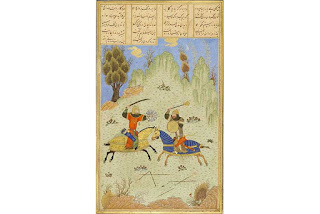 935-1026), the nearly 60,000-couplet poem is based on a history of the kings of Persia, depicting legendary accounts of the beginnings of civilization until the Arab Muslim conquest that ended Persian rule in the 7th century. The exhibition is organized by Adriana Proser, Asia Society Museum's John H. Foster Curator for Traditional Asian Art, in consultation with independent scholar Barbara Brend. The exhibition is accompanied by Brend's book Muhammad Juki's Shahnamah of Firdausi, published by the Royal Asiatic Society/Philip Wilson Publishers (2010), the first complete study of the manuscript.